• Don’t miss the two 24-hour Gift of the Lotus Alerts after the stream! • Warframe launches on Nintendo Switch on November 20! • The Hallowed Nightmares Tactical Alert is now live until November 1! • We hope to see you at our TennoVIP events at Paris Games Week and at TwitchCon next weekend! 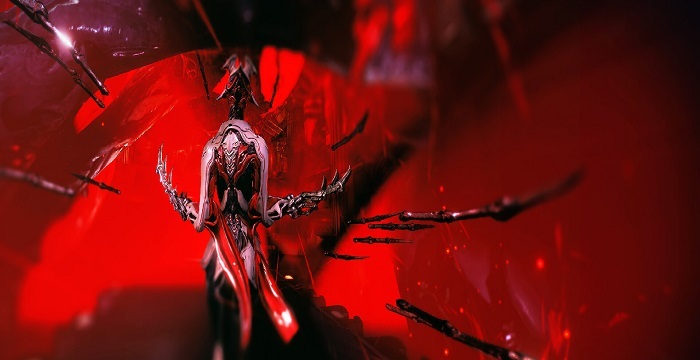 Let’s get the most burning question out of the way now: Fortuna when??? Well – we officially have an answer: we are hoping to launch this update during the first week of November! As a general reminder, this does not include Railjack; that content will come at a later date. • Caves will have many purposes, including but not limited to: the ability to fish in them, mine, and have K-Drive races pass through them. 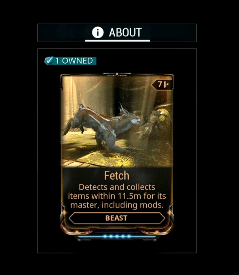 • There are new Bounty types for Fortuna! One example shown on-stream was having to kill a certain type of enemy, however and wherever you’d like. • K-Drives will come with their own mods! • Fortuna fishing comes with new spears and a new mechanic. Instead of just impaling them, you’ll need to aim your EMP spear at an area marked on the fish to disable it. You’ll need to time your throw to match a certain frequency, so both aim and timing will be required! • No new Operator mechanics are coming with Fortuna, but new Operator Amps are! PASSIVE: The lower her health, the more damage she does. ONE: Cast upon an enemy to tear them apart with your claws. Doing so summons a shield in front of you to protect you, for a set duration. Additionally, you harvest their blood that can the charged by draining your energy and thrown at enemies to do damage. TWO: Cast upon an enemy to impale them, creating an AOE that drains their life force to heal you. THREE: Cast to lower your health, giving you energy based on the amount of health drained. FOUR: Summon a flurry of blades around you, pulling in enemies and shredding them. You can move around while in the vortex. She also comes with her own signature crossbow! • Deploy a tether mine. • An attack that temporarily reverses gravity and does impact damage. 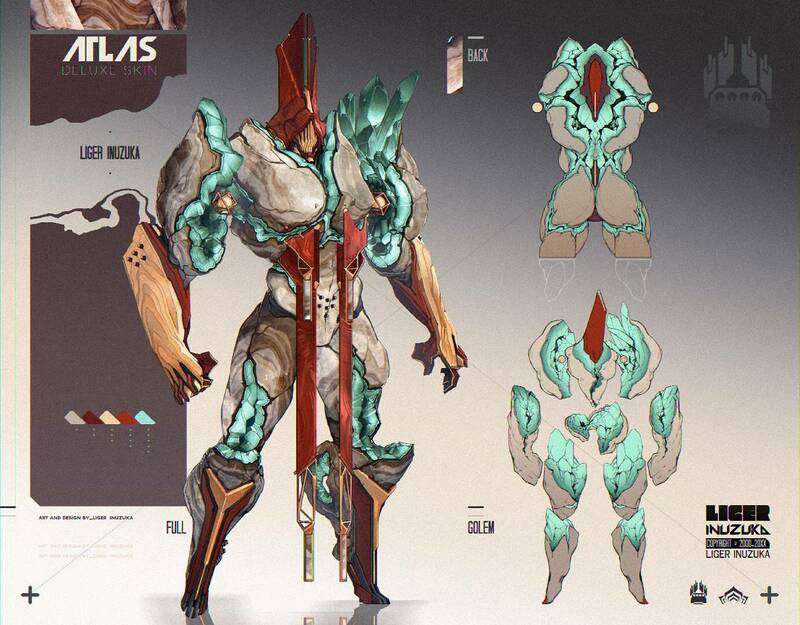 Designed by Liger-Inuzuka, the artist behind the Nezha and Nidus Deluxe skins! Some significant changes to mining are coming! Instead of tracing a shape, you’ll have to heat an ore spot to the right temperature – this way it’s quicker and more skill-based! Depending on the ore, the cutter you use, and your skill level, you can even get multiple items from one mining spot. Here’s a look at four new Operator Suits coming with Fortuna, all of which are work-in-progress. These feature the new seaming we added in the Chimera update. We have reverted the initial Chimera update seaming changes, but we will be working to polish those changes further and reintroduce them. The ultimate goal of these new seaming changes is to allow for better mix-and-matching of suit components. Those of you waiting for new Operator hair will have to wait until later this year to receive it. • Tribute now only requires 1 target to maximize each buff. • Lantern can be cast up to 4 times at once. Lanterned enemies can be detonated when the cast button is held down. • Razorwing is getting a loot vacuum, similar to Archwing! • NEW PASSIVE: Misfire — enemies can’t seem to truly target Nyx and all receive an accuracy debuff against her. • MIND CONTROL: Target will absorb any damage done to it 4 seconds after cast. The amount of damage absorbed then increases the output damage of the target. • PSYCHIC BOLTS: This ability is completely being redone. All enemies hit lose defenses (armor/shields) for a short duration. Infested units will be slowed, in addition to the deactivation of any infested auras. • ABSORB: The math and potentially damage type is being changed. No other details outside of that! • Gas City rework will be coming shortly after Fortuna. 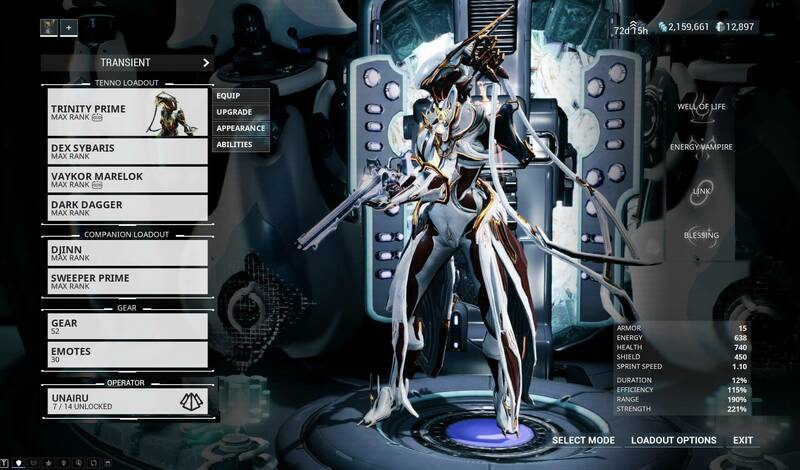 • Hoping add all remaining Dual-Stat mods to Archwing.